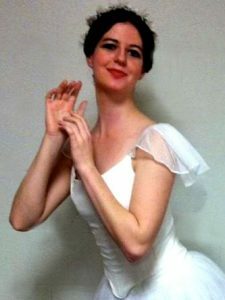 Chloe Holzman danced at Northwest Ballet Academy for 15 years. She was involved in ballet, character, jazz, modern, tap, and the Cecchetti Syllabus. Chloe graduated from Levels 1-7 in the Cecchetti Syllabus. Over the years, she has performed in the Schaumburg Dance Ensemble Nutcracker and various performances through Northwest Ballet Academy. Major roles include Doll soloist, Trepak soloist, and Spanish soloist in The Nutcracker, Dawn in Coppelia, Mary Poppins in Mary Poppins, Nikiya in La Bayadere, and Helena in A Midsummer Night’s Dream. She has participated in summer intensives such as The Cecchetti Council of America summer intensive at Hope College, Ballet Theatre Midwest, Ballet Met, and Ballet West. She is now at the University of Utah as a ballet major, music minor. Chloe feels that Cecchetti has provided strength and consistency in her dancing. 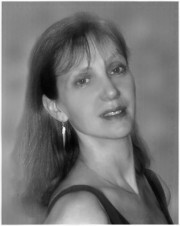 Thanks to her work in the method, she was able to not only become a part of the University of Utah Ballet Department, but also be considered a choreographer in the department and have her work produced on stage. Her training in the Cecchetti method lends itself to creating a solid basis of technique from which Chloe can dance, allowing her to branch out into various methods and styles. Her goal is to teach and choreograph professionally.